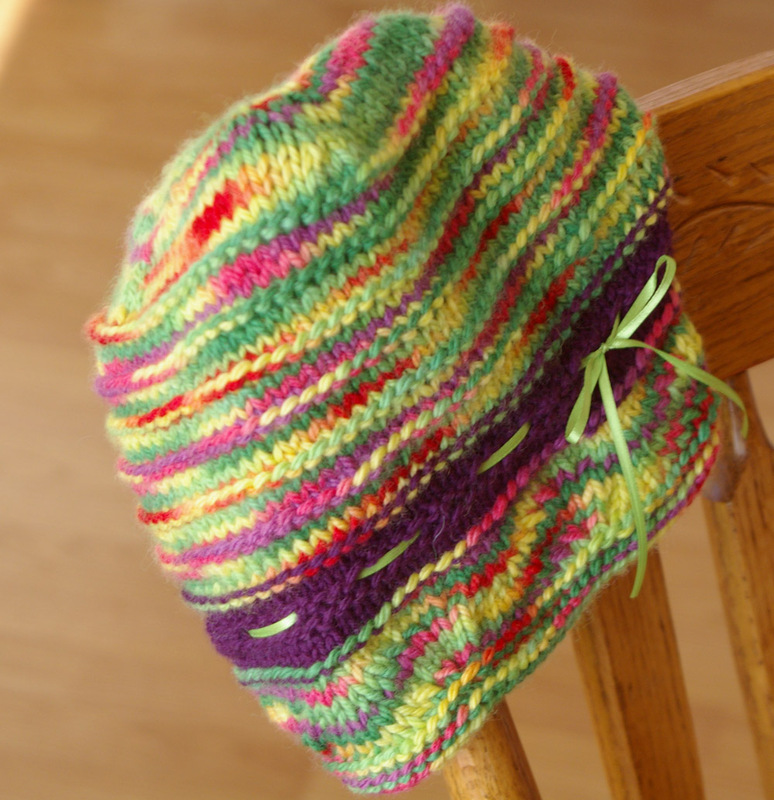 I was thrilled to snag a copy of Carina Spencer's (Sweet Mama Small Sugar) Bel Cloche hat pattern. I had purchase some lovely Willow BFL in 'Mercado' ~ Rowan picked it and it totally reminds me of the old Fruit Chiclets! 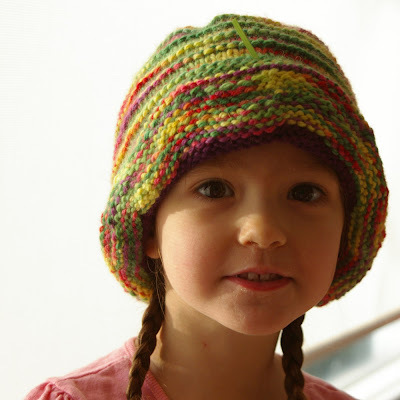 Carina's pattern is lovely~ easy to follow, not too complicated, while offering some very pretty patterning (like the lace brim). The result is very pretty, but a little on the large size (totally my fault, didn't do a gauge swatch and I am a novice with circular kntting ~ learned Magic Loop for this). I guess big is better than small, right? 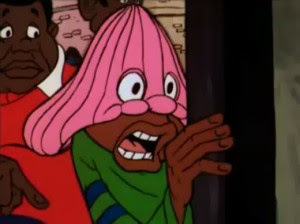 Reminds me of this Fat Albert character: But roll up the brim and it isn't so bad! I think this would be lovely done in a light cotton for the summer, too. Maybe the right size, next time! Fruit Chicklets!! I'm look for those for my Dad for Christmas. Let me know if you know of a source. Love the hat! 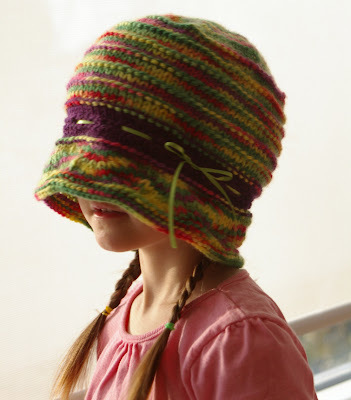 Knitting is prozac for women of finely integrated intellect and emotion. - at least from a dog's perspective. Hey I don't even have thumbs. drop by my place. Say hey. Great colors in your wonderful hat! !